Two stories built into hill. Side facade nice brick detailing, many double doors, no windows on top floor when built added in 1984. One Dundee Park; This building was built between 1872 and 1882 by the Smith & Dove Manufacturing Co. as storage for raw and manufactured stock. The rear north wall had doors to access the basements but no windows above. The units were once numbered 28-29-30 and 31 in 1901. Renovations began in 1984. Abbott Village was established early in the 1800's with the more than adequate source of water to power the mills. Abel & Paschal Abbott moved their wool mill operation here from the North Parish about 1815. Abiel Russell was their first foreman and Daniel Saunders leased a portion from 1817-1825. James Howarth established a wool mill 1824-1847, building the stone mill on the east side of the river. The Abbot brothers had a successful business until about 1838 when the market took a down turn. Creditors sold the Abbot Mill buildings to Smith & Dove Co. in 1843. 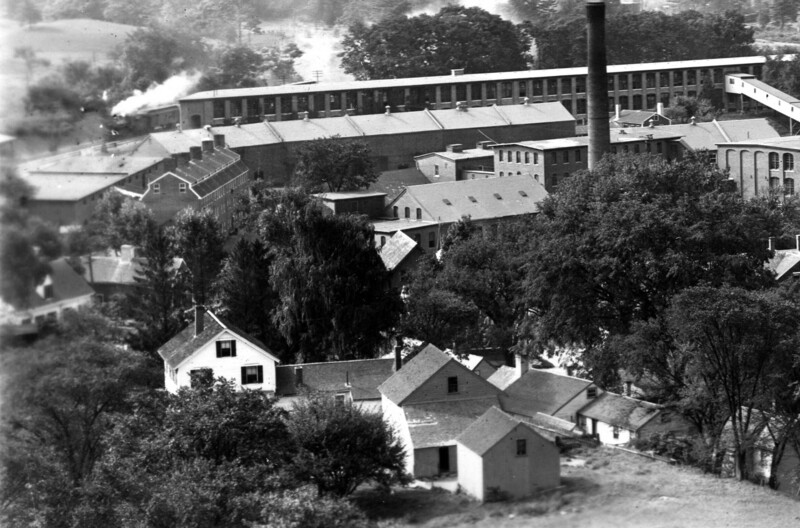 Smith & Dove Co. produced linen thread and was established in Frye Village (Shawsheen Village) in 1835. The company founders John Smith, Peter Smith and John Dove were all Scottish immigrants from Brechin in County Angus. The company continued operations in both Frye and Abbott Villages gradually relocating all production up river to this location. In 1865 they became the Smith & Dove Manufacturing Co. producing linen thread for shoe laces, carpets and sail cloth. Later operations included broad cloth. Smith & Dove is said to be the first linen production manufacturer in the United States. The company continued to expand operations through the years and by 1894 had completely abandoned the former plants in Frye Village. A new Main Mill plant opened in 1894 in Abbott Village and improvements continued well into the first decade of the 20th century. In 1927 the Smith & Dove Co. was sold to the Trustees of the Ludlow Manufacturing Associates of Ludlow, MA makers of hemp cording. The housing real estate was placed in the Smith & Dove Tenements, Inc. that year, changing the name to Andover Homes, Inc. that then sold off the housing stock to private hands. The company operations were moved to Ludlow, MA and the mill closed in 1928. 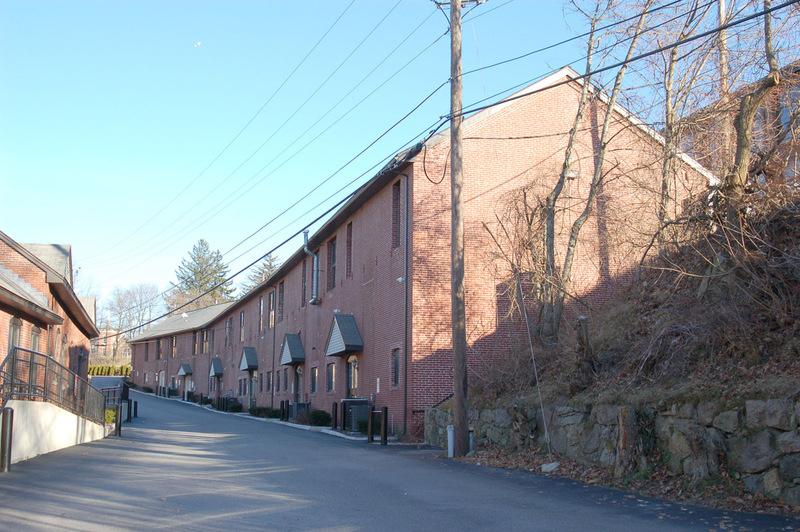 The Indian Ridge Co., Inc. acquired the mill properties and some of the housing stock. Through the company treasurer Virgil D. Harrington the mill buildings were then parceled off sold to private investors. M. T. Stevens & Sons Co., Inc. purchased this property on Nov. 8, 1937. The Stevens Co. was established in North Andover and acquired the Marland Mills Co. on Stevens St. (now Atria Place senior living apts.) in 1879. This property was used by the Stevens Co. for wool storage. The access to the railroad line for shipping and receiving goods for their Andover operation made this a desirable site. In September 1946 the company consolidated and the name became J. P. Stevens & Sons Co. With the closing of the Marland Mill operation in 1970 the properties were sold off. CRG, Inc. of Andover purchased the 10.7 acre property on June 15, 1971. C.R.G. Inc, was owned by business partners Paul W. Crowin and Augustine "Gus" Sheehy. In September 1973 the Dundee Trust was created with Augustine Sheehy, Peter J. Brennan and the Arlington Trust Co. as trustees. Gus Sheehy then sole owner on Aug. 7, 1974. The property was then sold to Jordan J. Burgess on Nov. 23, 1982. It was during his ownership that the property was developed into the "Dundee Office Park" we know today. The former warehouse buildings were completely redesigned and the exteriors restored. Mill #5 became Dundee Park II and III. This building is 1 Dundee Park on the upper level. Exposed brick, wood beams, sky lights, new windows and mechanical upgrades were completed with historic renovation in mind. The buildings were marketed as a unique professional office park for research & development, electronics or light assembly. The buildings were ready for leasing in the fall of 1984. With the downturn in the economy the leasing did not meet the necessary occupancy rate and the banks foreclosed. The Lawrence Savings Bank and Essex Holdings Inc. took possession of the property on Aug. 19, 1985. Dundee Office Park Joint Venture purchased the buildings on June 25, 1993 and is now held in ownership under the name Dundee Office Park LLC on Aug. 1, 1996. See history and bibliography form A.
Outbuildings / Secondary Structures Many outbuildings, this is building #6.